Mouse anti Chicken TCRα/β antibody, clone TCR-3 recognizes chicken TCR α/β expressed on peripheral blood T cells. Two distinct subpopulations of α/β T cells appear in the chicken thymus subsequent to the appearance of γ/δ T cells. These subpopulations, originally denoted as TCR2 and TCR3 arise sequentially in the thymus during ontogeny and are now known to represent two distinct Vβ families, Vβ1 and Vβ2, respectively.  Mouse anti Chicken TCRα/β antibody, clone TCR-3 is specific for the Vβ2.